INFINITE Corporation empowers Volvo to present a consistent User Interface across multiple platforms, to web-enable and integrate multiple applications across its varied operations. Volvo is a global company with employees and dealer operations in 180 countries. The company had established clear goals for implementing the integration of multiple systems. 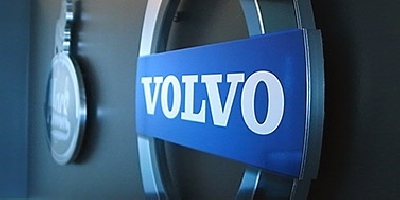 Volvo is part of Ford Motor Company’s Premier Automotive Group. its aggressive technology goals for building its business and improving the bottom line led to the need to employ best-of-breed solutions from INFINITE Corporation. INFINITE Corporation’s baby.NET provides mainframe and midrange legacy integration. When various teams in different departments wanted to create department-specific graphical screens and provide the ability for thousands of users to concurrently access the host systems via the internet, baby.NET was chosen for its ability to be deployed quickly and inexpensively. Volvo has worked to develop the best possible enterprise systems. The core applications provided best practices solutions, but they were not web-enabled nor graphical. The INFINITE Corporation implementation, called baby.NET, is key to providing a highly customized UI regardless of whether the host systems are mainframe or midrange. With INFINITE Corporation technology, Volvo employees are able to access their systems securely from anywhere via browser. The ability to update and pull information while offsite makes it much easier for staff working on global field projects or working virtually from their homes. Having immediate access to critical data allows them to make decisions on the fly that can add dollars to the bottom line. As a result of using the INFINITE Corporation platform, Volvo is realizing significant benefits (including high ROI) through improved project management decisions, more timely responses to information requests, cost reductions efforts, and enhanced employee productivity. Volvo deployed baby.NET to integrate its mainframe and midrange applications and to provide graphical web-enabled access to the systems for their employees. Baby.NET was used as a critical element to provide secure three-tier access to support field and local staff. Easy deployability, simple maintenance, and ease-of-use found in baby.NET made it an easy implementation for both the IT support staff and end users. More than 900 users actively use baby.NET™, an all-XML, intuitive interface, to access their legacy applications. Several reasons influenced Volvo to select INFINITE Corporation as the company’s EAI (Enterprise Application Integration) platform. “Our relationship with INFINITE Corporation spans several decades, but our decision to utilize baby.NET at this time was because we were impressed with the breadth and understanding of INFINITE Corporation’s consultants, the company’s vision and its ability to deliver quickly and on-budget.